Bridge TX gives yet another option in the DC Skate line. Now available for us Vegans, in an all canvas upper. Another departure in the DC skateboard shoe of old. At least in the skate line, puffy cup soles are out and low cut thin tongues with vulcanized soles is the new standard. Speaking of the vulcanized soles, I think its an interesting and smart move that the treads are an inverted “pill-pattern.” This will give you some extra wear time compared to the usual pattern as it will take longer for the soles to wear flat. Looks waffely. Two colors to choose from, so if bright red isn’t your thing then black/wild dove (uh, grey?) is low key. Now I know what some of you are thinking. 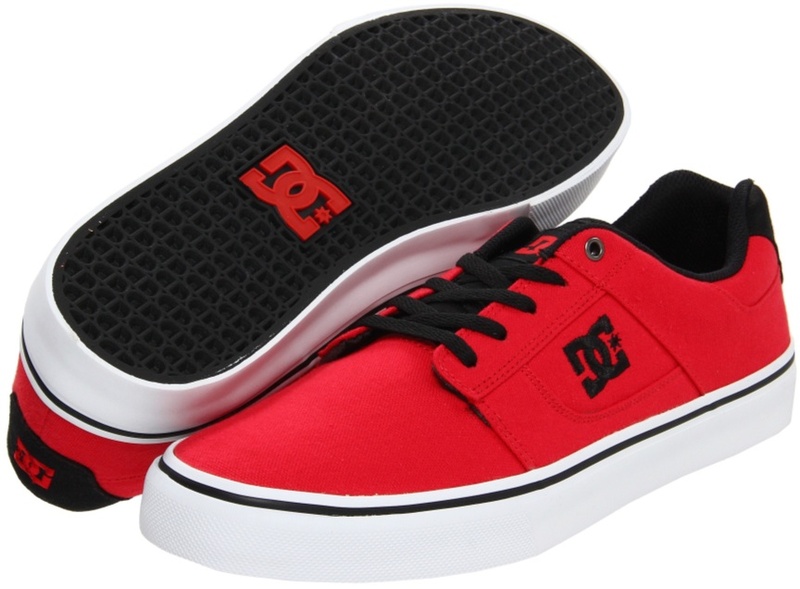 Hey DC, why not make this in synthetic-nubuck? Post it in the comments people. got at ross for 20 not sure if i want them though because im worried the textile will just rip super fast..